For months, the outcome of the Democratic presidential primary has been more or less obvious, by virtue of the overwhelming delegate math in favor of frontrunner (and now presumptive nominee) Hillary Clinton. But her progressive firebrand challenger, Vermont senator Bernie Sanders, fought on anyway. Campaigning on against seemingly insurmountable odds, he's taken his fight longer and farther than anyone could've predicted this time last year. 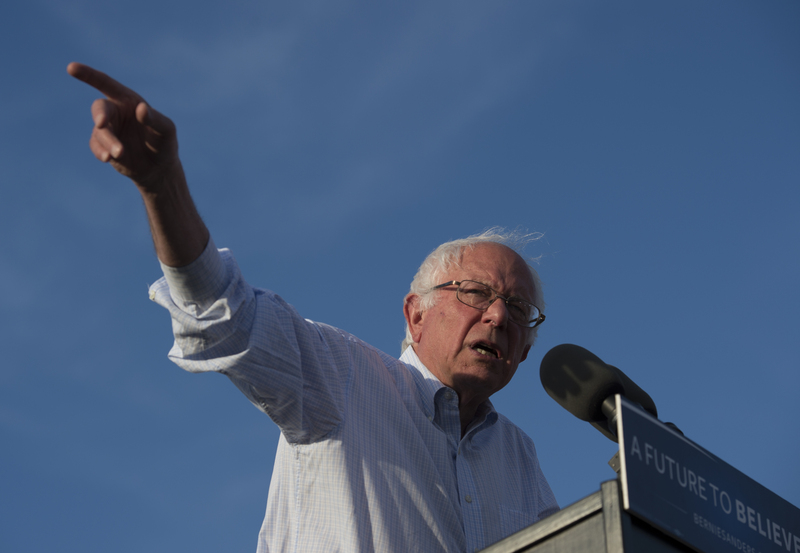 So will Bernie Sanders drop out after Washington, D.C.'s primary? The first, most obvious thing to point out is that if Sanders sticks to his word, the answer would be no. Following his disappointing double-digit loss in California last Tuesday, Sanders vowed before a crowd of raucous supporters that he'd take his fight to the Democratic National Convention in Philadelphia. He's said this before, too ― he clearly wants to stay in this thing, whether it's to try to influence the direction of the party going forward or to keep himself positioned in case Clinton is unable to continue her campaign for some reason. But there's another unavoidable reality that could start moving the needle the other way. The party is clearing moving toward embracing and celebrating Clinton's nomination (President Obama has finally endorsed her), and Sanders himself stated Thursday that he'd soon talk to her and figure out how they could "work together and defeat Trump." Needless to say, that doesn't sound like somebody who's gearing up for a long-haul battle. Rather, it sounds like someone who's finally getting ready to pack in it and start rallying for the victor. Sander is definitely staying in until the D.C. primary is done, however. Even if he doesn't keep his Philadelphia pledge ― or, in one possible scenario, officially stays in the race but doesn't try to undermine Clinton, instead coordinating anti-Trump efforts with her campaign ― he's repeatedly stressed that everyone should be able to cast their vote for the candidate of their choice before he leaves the race, and dropping out less than a week before the final primary would be a betrayal of that principle. That said ― especially with the news that the Sanders campaign is majorly slashing its staff and is perilously low on funds after burning through their record-setting fundraising haul ― if Sanders doesn't withdraw following D.C., you can probably be assured it won't be a contentious, competitive candidacy on the level it once was. If he endures until July, it'll almost certainly be as a sort of skeleton campaign, a vessel to keep the teeming enthusiasm and energy of his base alive while he comes around to the Clinton candidacy. You should not, in other words, expect him to actually try to usurp the nomination through the superdelegates. Considering how that's never happened before, and that he trails Clinton by virtually every electoral measure, Sanders is surely too smart for such a desperate, potentially reputation-destroying gamble. The only real question left isn't if he'll ultimately cede to Clinton and help her in the general, but when.